Physical therapists specialize in many techniques that can help reduce pain and improve strength and mobility. There are many reasons someone would want to visit a physical therapist. You may need help overcoming a chronic condition like arthritis. Or, you may need treatment for an injury, such as a sprained ankle. Perhaps, you’re not hurt at all, but you want assistance from a professional in improving your strength, flexibility and coordination. Manual therapy — A physical therapist’s hands are their primary tools for many treatments. Your physical therapist will use their hands for manual therapy, which involves movements and manipulations of your body. Manual therapy has many subcategories of methods, including joint mobilization, soft tissue mobilization and strain-counterstrain techniques. These are used in many treatments to help reduce pain and improve your range of motion. Aquatic therapy — Sometimes, it’s too tough on your body to exercise on land. That’s why some physical therapy clinics offer aquatic therapy. 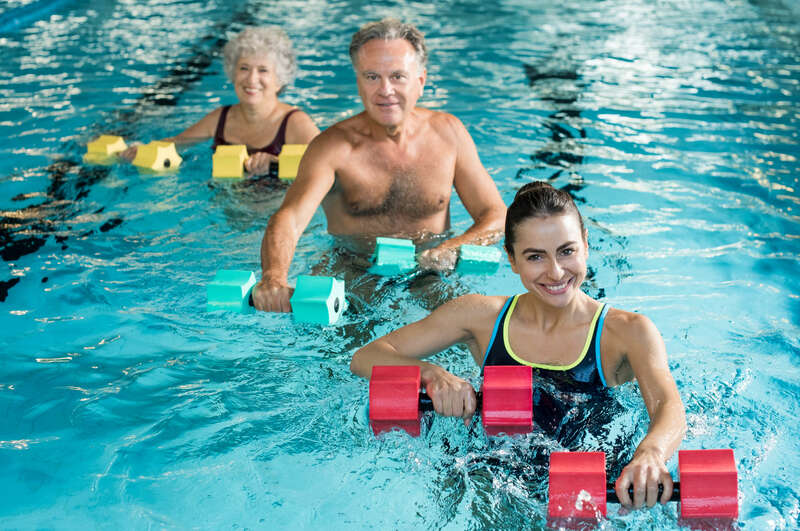 Aquatic therapy involves professionally guided exercises in a pool. Exercising in a pool helps you balance and cushions you from falls. Plus, the water provides natural resistance, which helps force your muscles to work. Dry needling — Dry needling is a physical therapy technique that involves the use of sterilized needles. Your physical therapist will insert these needles into trigger points in your muscles. This helps release tension in the muscles, which can reduce pain and improve mobility. Often, dry needling is used for muscle pain and improving recovery time from muscular injuries. Instrument-assisted soft tissue mobilization (IASTM) technique — Your physical therapist may massage your muscles using ergonomic tools known as IASTM tools. These tools help your physical therapist break down scar tissue that may be causing pain and limited range of motion. IASTM tools come in many forms. Your physical therapist will assess your condition and determine what kinds of IASTM tools are best for you. Our physical therapists are ready to use these techniques and others to help improve your physical condition. Would you like to learn more about the kinds of treatments we offer? Contact us today for more information or to schedule an initial appointment.